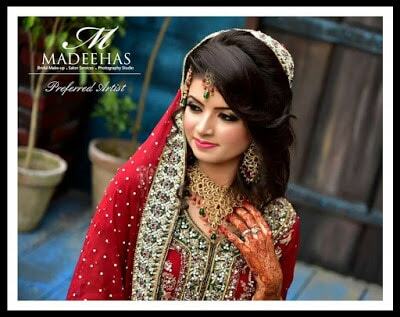 Madeehas BRIDAL MAKEUP & UNIQUE PARTY MAKEUP LOOKS 2016-17. 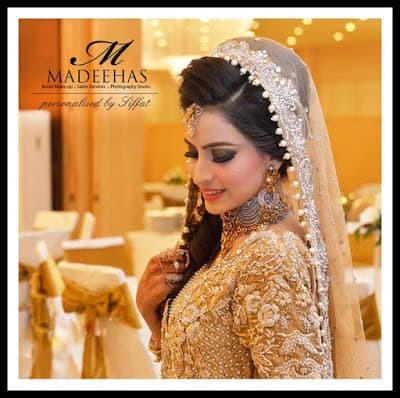 Signature Makeup, Salon Service and photography studio by Madeeha spectacular yet alluring bride with flawless and glowing look on her big day! 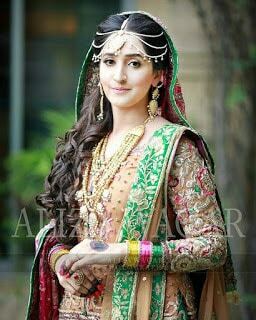 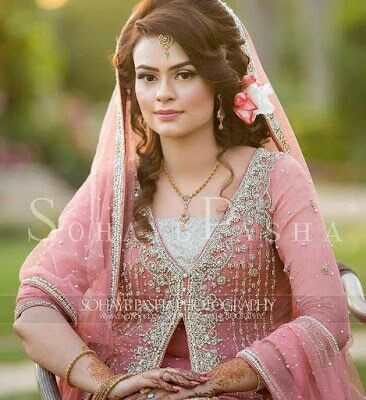 Radish Pink lips with impartial shimmer on eyes is making this bride look glamorous on her Barat. 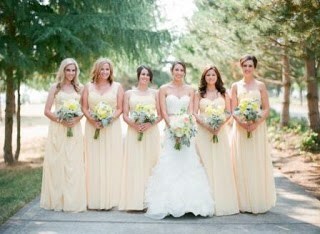 Be the picture of grace and take cue from ballerinas by wear your hair in high bun. 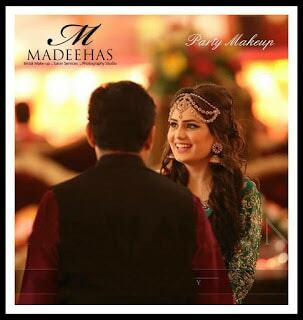 Famous Artists Party Makeup by Madeehas is all about getting a natural, flawless and glowing look on your special wedding day! 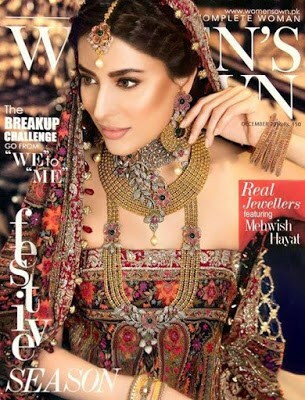 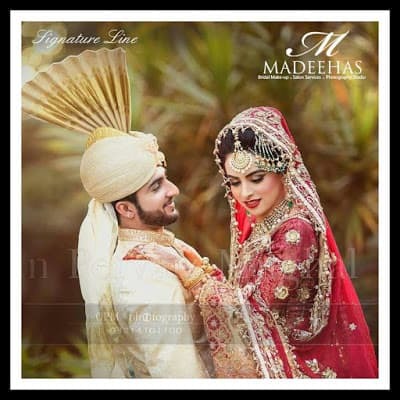 Madeehas bridal hair styles and ideas for wedding makeup enhancing natural beauty, for a perfect polished version of you! 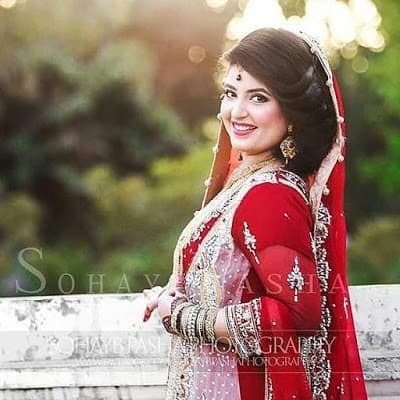 You can look here one of our stunning brides – Makeup is by the preferred artist. 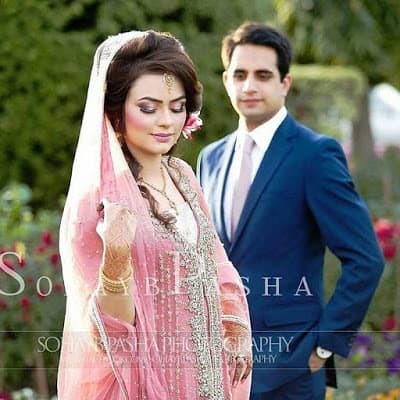 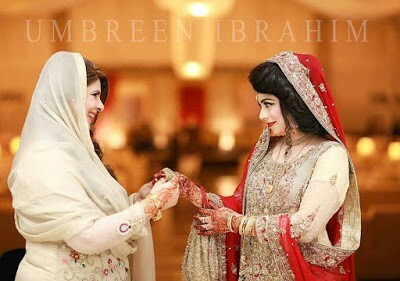 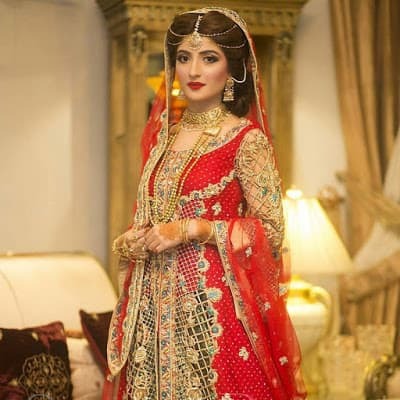 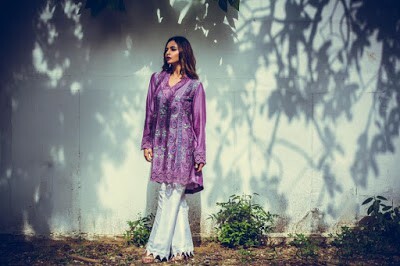 If you are thinking about to hire professional makeup artist in Pakistan, Madeehas is perfect, it is doing makeup in fashion setting is one option and its good one. 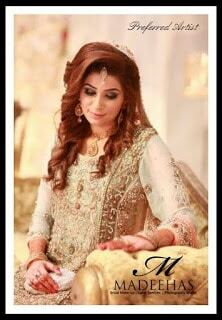 Hope you like hair and makeup for party 2016-17.